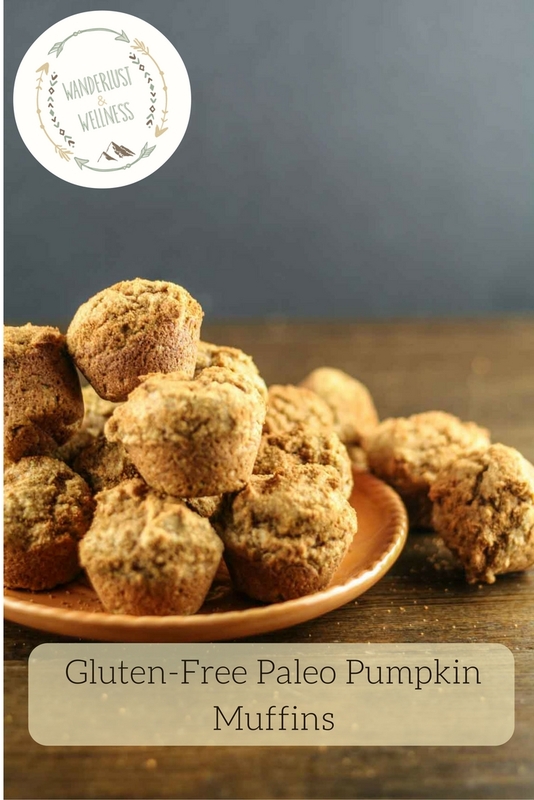 Pumpkin muffins, pumpkin bread, pumpkin coffee creamer, pumpkin galore!! It’s definitely time for everything pumpkin spice. I love seeing all of the pumpkin spice memes floating around on the internet. No shame here in my love for everything fall and pumpkin! 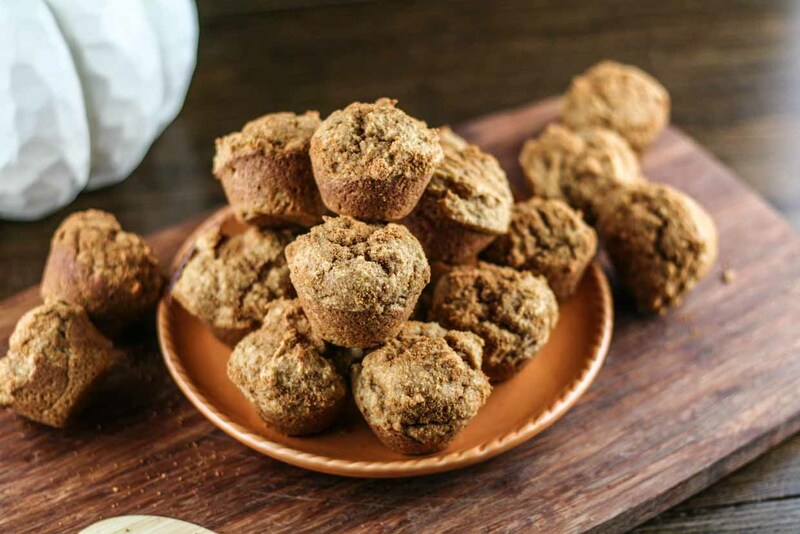 These pumpkin mini-muffins are gluten-free, Paleo/Primal friendly, and use coconut sugar and pure maple syrup for sweetness. You cannot go wrong with these! 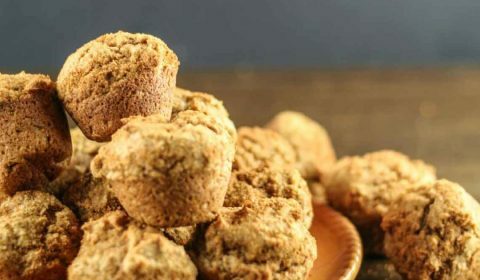 I remember back in my Weight Watcher days, before I understood the nutritional value of foods, I would make pumpkin muffins using canned pumpkin and a boxed spice cake mix. 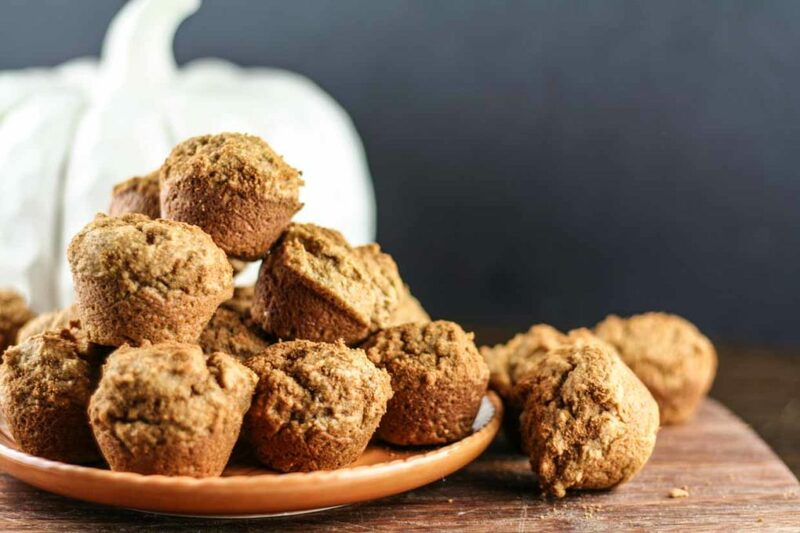 Skip that and go with this recipe because these pumpkin muffins use much better ingredients! You know exactly what ingredients are included AND you can pronounce them! These would be perfect for breakfast, dessert, or just to have around for a quick snack. Preheat oven to 350 degrees F. Grease mini-muffin tin with coconut oil. In a large mixing bowl, combine the flour, baking soda, pumpkin pie spice and salt. Add in wet ingredients and mix well. Spoon batter into muffin tin, filling each cup full. Bake for 12 minutes, remove from muffin tin and cool on cooling rack. Combine the sugar topping ingredients in a small bowl. Press muffin tops into sugar mixture and return to cooling rack. 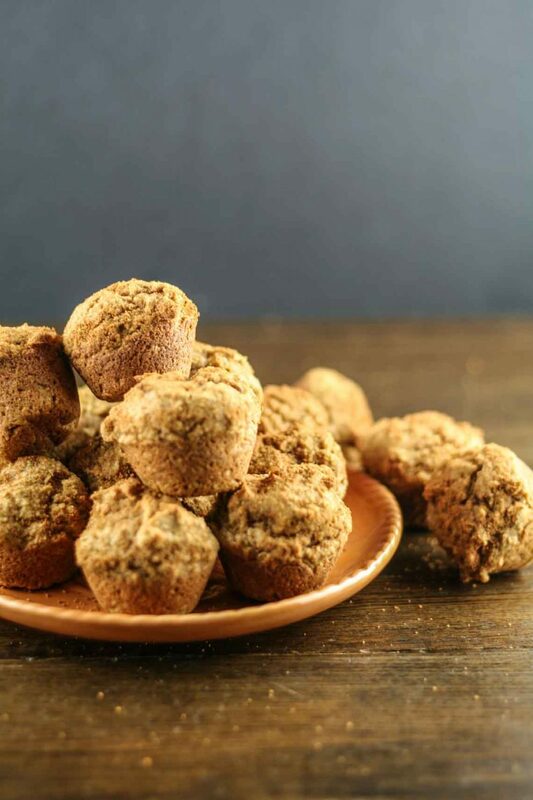 Sprinkle any remaining sugar over the muffins.